Now, this list is not super comprehensive list, but it’s a good start to being exciting about visiting those places. After all muslims love to compete on who will be building the next amazing mosque. So in few months this post might need updating as well. 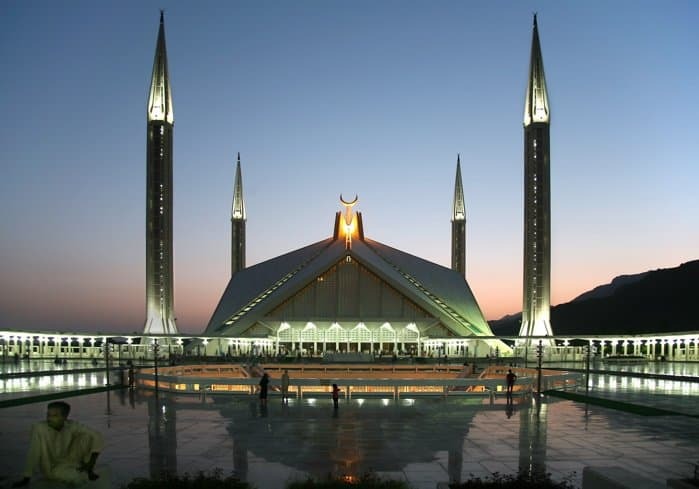 There is no denial that this mosque should be the number one place you want to visit. It is the holiest place for Muslim and also the largest mosque in the world. Whether you are going for Umrah or for Hajj it’s a must visit place. 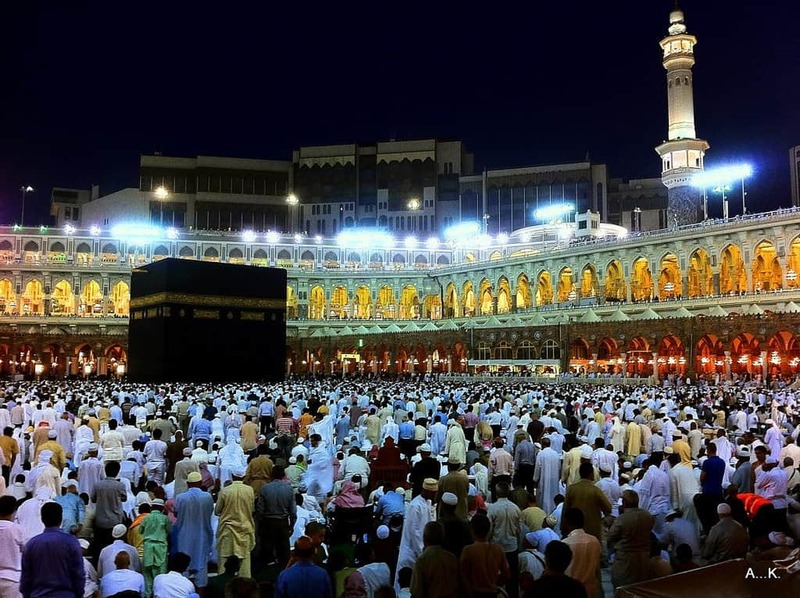 You can check out the articles to help you plan an amazing Umrah without breaking the bank. 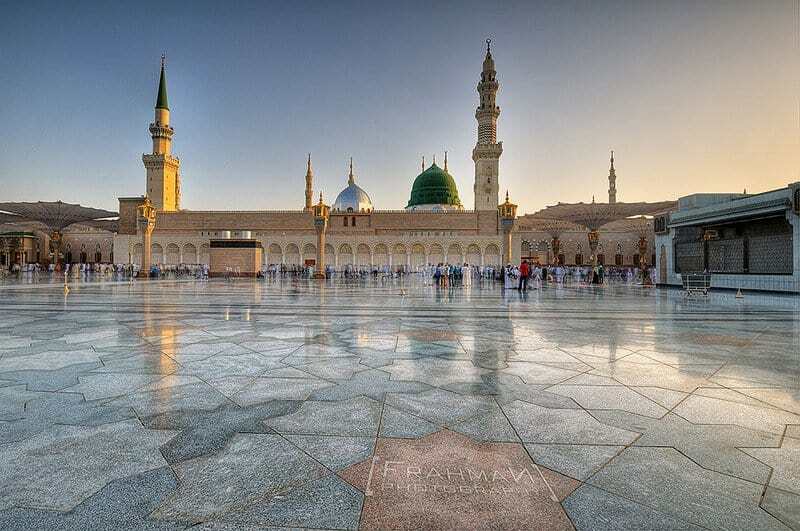 I don’t know about you but the Prophet’s mosque has a special place in my heart. It just gives such a different vibe to the Al Haram masjid. Oh my favourite mosque in Abu Dhabi. Talking about vibes, the Grand Mosque in Abu Dhabi is one of these places wehre I can spend the whole day just marveling the architecture and design. It’s an impressive place and highly recommended when you visit Dubai or Abu Dhabi. 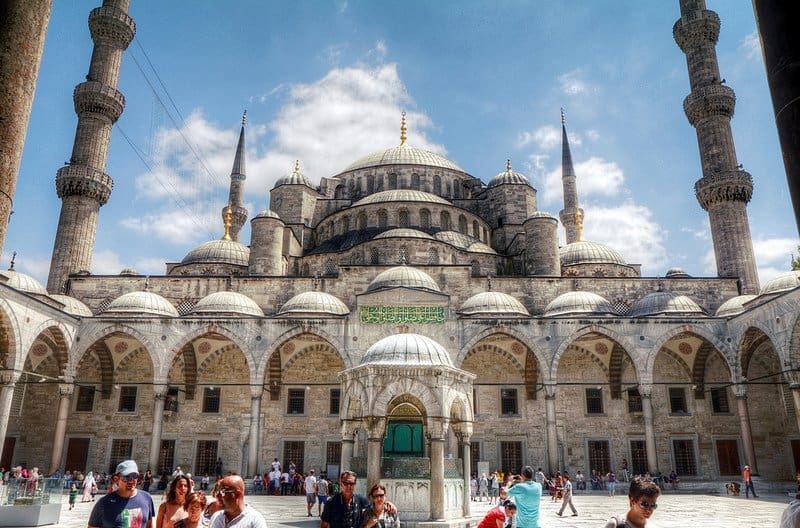 You just cannot not include the Sultan Ahmed Mosque in Istanbul or as it’s commonly known the Blue Mosque of Istanbul. It is called Blue Mosque due to the blue tiles surrounding the walls. It is impressive place and a must pray location when visiting this gorgeous city. Morocco’s largest mosque is breathtaking. 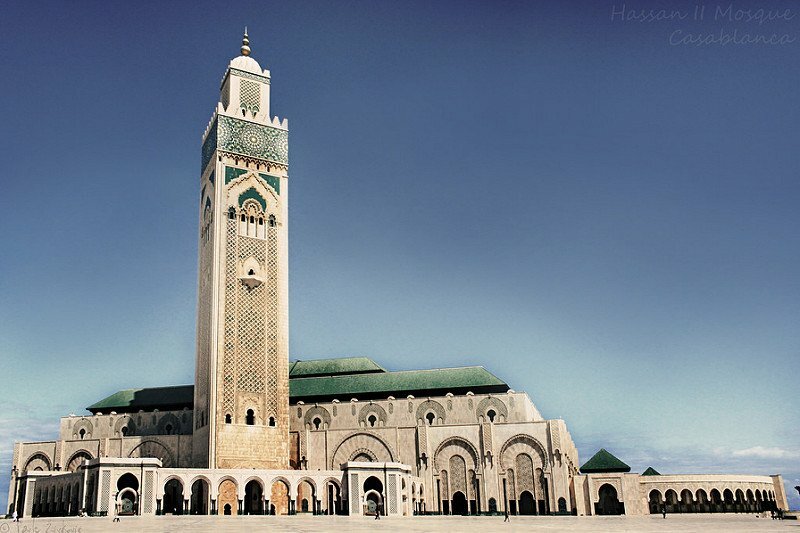 It is located in Casablanca and its minaret is the tallest in the world. I loved the masjid but sadly since it was pre-MuslimTravelGirl and I lost all my photos I don’t have any of it. I am surely making plans to return as a Muslim and pray in it soon. 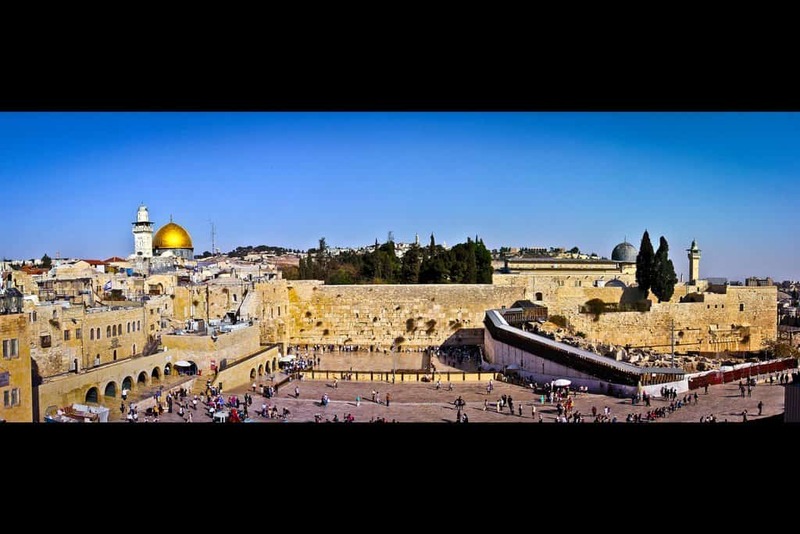 I simply cannot not include the third holiest site for Muslim, the Al Aqsa Mosque in the Old city of Jerusalem. The whole area has a special place in every religion and just for this it’s worth visiting in my opinion. 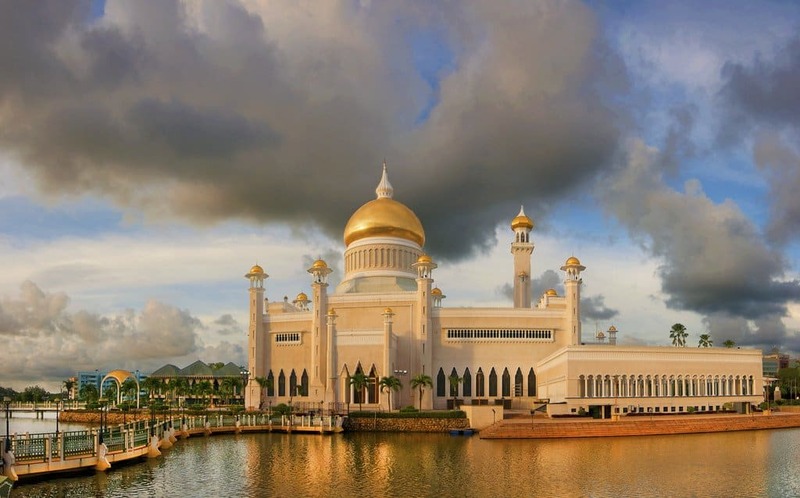 Brunei might be a small nation but the grand mosque is stunning. It is rightfully considered one of the most beautiful in the Asia Pacific. If you ever find yourself on a holidays in the area I definitely recommend adding it to your bucket list of places to pray. For many Muslims visiting London they want to know where to pray. Well if in London you should definitely pray in London’s central mosque. It is in the heart of the city near St Regents Park with easy access to many sightseeing locations. 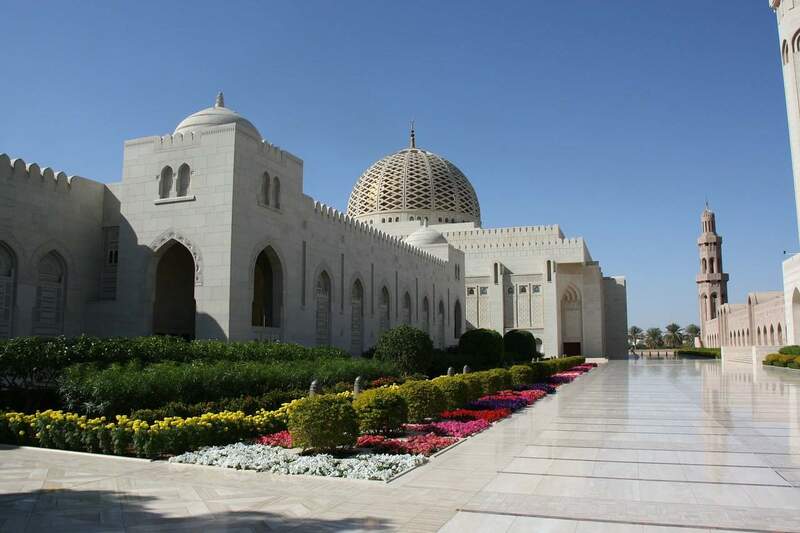 Oman is a stunning country but one of the reasons why I liked Muscat so much is the Grand Mosque. 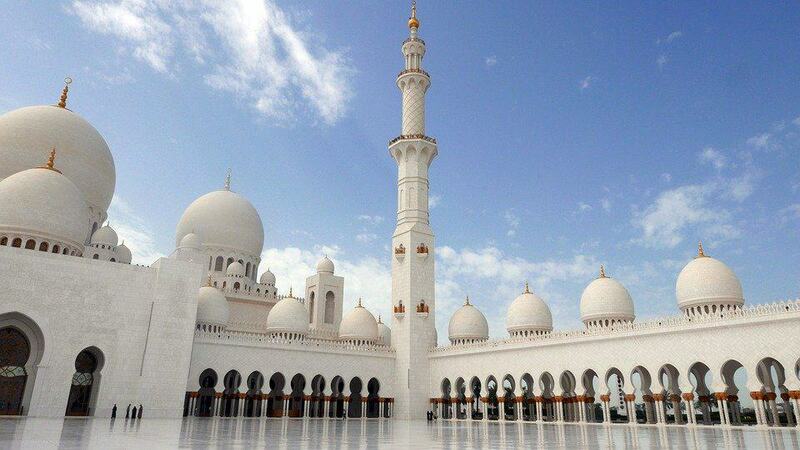 It is one of the nicest buildings for me and I put it up there with the Grand Mosque of Abu Dhabi. I love the arched entrances, the feeling of space and the fact that they have a very nice library and green area to relax after prayer. Highly recommended country to visit. The largest mosque in Iran, the Imam Reza Shrine is also the largest in the world in the area(m2) it covers. The mausoleum of Imam Reza is located there and the architecture is amazing. Masjid al-Haram is indeed gorgeous. Too bad that as an infidel, I am not even allowed to visit Saudi Arabia as a tourist. Salams. Gorgeous pics and great advice, thank you!! We often visit mosques when we are traveling and I was hoping you’d have my favorite – the beautiful Ibn Tulun mosque in Cairo. I am thinking of many more of them 🙂 I had to pick 10 only inshaAllah will include it next time. The Great Mosque of Djenné – Djenné, Mali. I have never been but it looks breathtaking! I went to Mali on my honeymoon in 2000 and we visited Djenne. It’s truly an amazing building and so beautiful even from the outside. 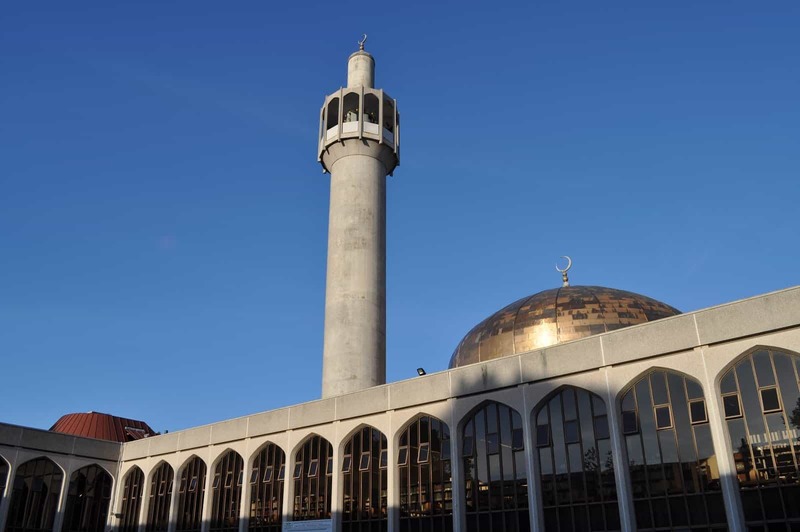 However, the story we heard was that due to the actions of an Italian photographer – who had disrespected the religious nature of the building with an inappropriate and offensive photo shoot inside – they closed the mosque to non-Muslims. Aw thanks for sharing.. Sounds like an incredible place! Sad to hear about it being closed for non-Muslims. I wish people would respect other cultures and the laws of other countries especially something so simple as to be respectful in a place of worship. Wow pretty amazing Alhamdullilah. Have you seen the Al Qasr palace in Alandalus/Spain? The mosques, gardens and palace are absolutely stunning! A truly remarkable architectural feat. Well worth visiting. To think that Islam ruled Spain for 900 years! Wow!